The second issue of The Somerset West Journal defines the alfresco Winelands lifestyle Somerset Lakes embodies. The publication explores all there is to do in and around the thriving town. Where to dine, where to wine, where to go and why you should invest in estate living. Somerset West is the golden gate to some of the world’s best wineries and restaurants, headed up by award-winning chefs. Stay at the picturesque Spanish Farm Guesthouse and Luxury Villas and appreciate the fantastic views on offer. Jani Goussard from Paint and Décor interiors tells us a thing or two about interior decoration and we talk to the Wannabees Cycling Club about where to go ride your bike when adventure calls. Read how to efficiently decorate small spaces and play with cheetahs at Cheetah Outreach. Take a tour with us through the coastal towns of the Overberg and find out why it is essential to consider investing in residential estates like Somerset Lakes. 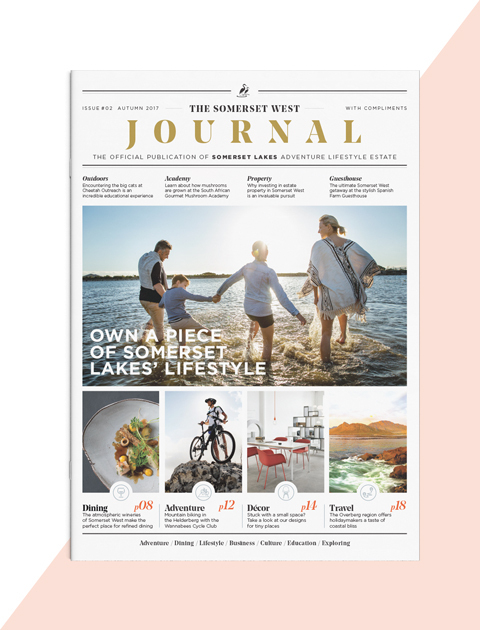 The Somerset West Journal plays a key part in the marketing and communications strategy, giving the reader a brilliant insight to the award-winning estate. 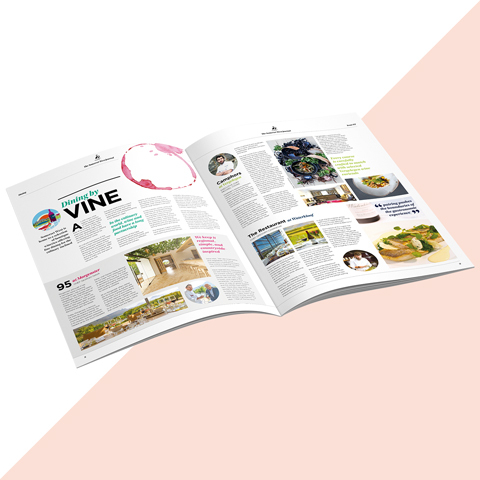 The publication features contemporary editorial design and exciting content which thoroughly investigates the exciting nature of estate living in the Cape Winelands.